Getting the kids into bed isn’t the biggest challenge when it comes to bedtime. Keeping them there is the real trick. So imagine how much easier the battle if their bedroom looks like this. 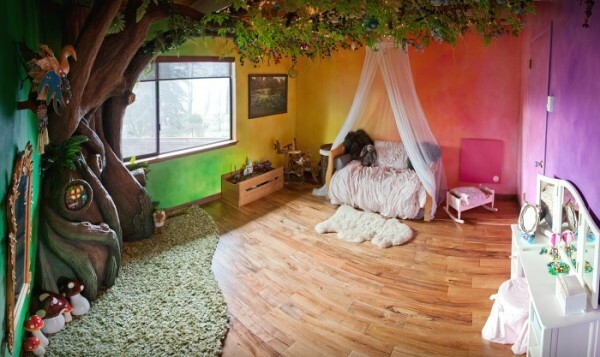 We’re in complete awe of the dad who built this fairy tree bedroom for his daughter. 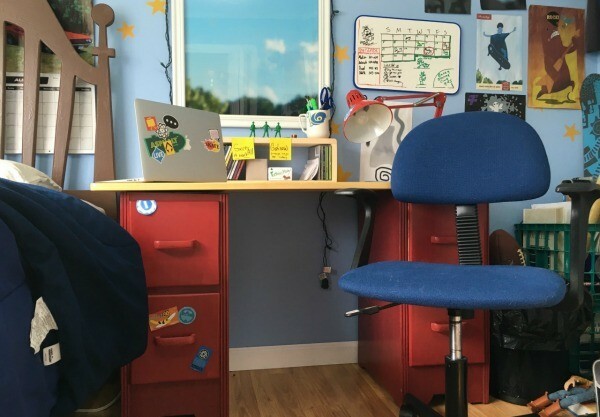 Come see how he did it and peruse a whole house-load of other amazing kids’ rooms. The father, an artist in the video game industry, spent 350 hours and quite a bit of cash creating the magical room. But what price a smooth bedtime, right? 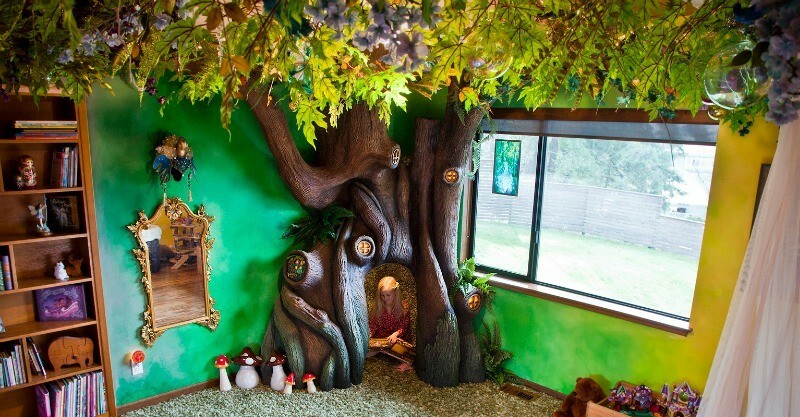 He used Disney set-design as his inspiration and the room comes complete with a massive tree, a reading nook and plenty of woodland critters to keep his little princess company. 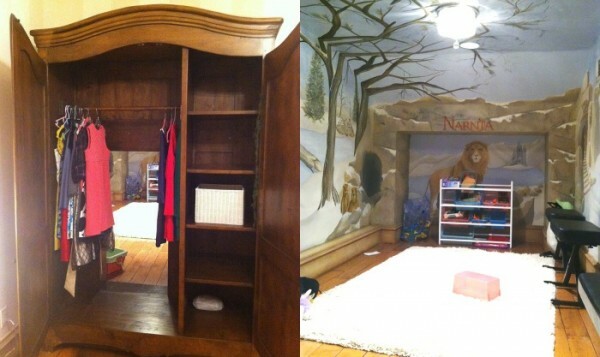 The Snow White/Sleeping Beauty themed room is certainly impressive and got us wondering what other incredible kids’ rooms are out there. 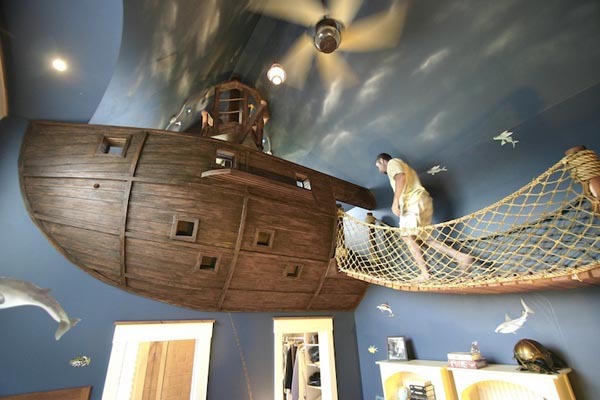 Come and have a look at some more creatively designed rooms that will make you want to be a kid again. 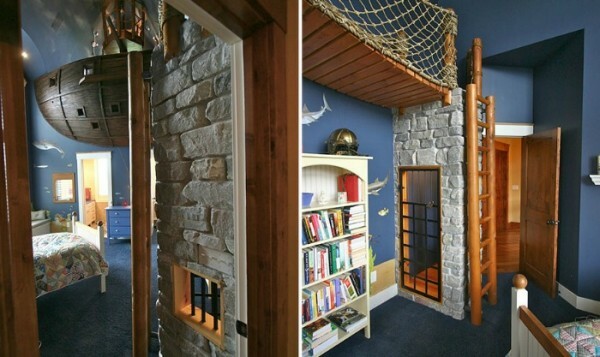 For the pirate explorers in your life, check out this nautical inspired room with an ancient ship, a crow’s nest, wooden bridge, lookout point and climbing room. The designer, Steve Kuhl. completed the look with a mural of sea creatures all in a sea of blue. Ahoy, mateys. 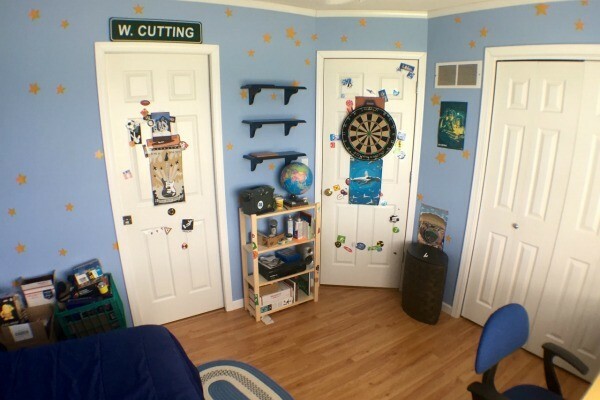 For any Toy Story fan, here’s an intense replica of Andy’s room. Designed by tumblr user, The Pixarist, the room will take you back to the Pixar classic. From the dart board on the door to the scattered stickers above the bed frame, it’s all there. 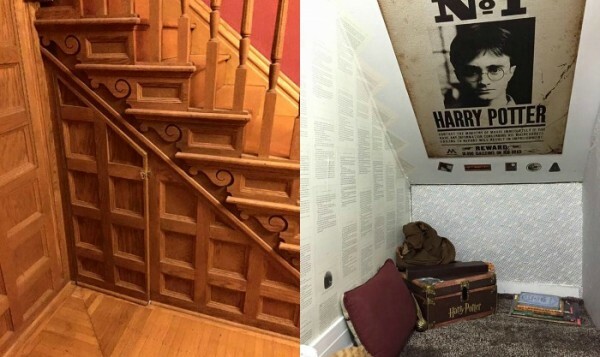 While Harry Potter may not have the best digs at his aunt and uncle’s house, I’m sure most kids would adore this peaceful place, inspired by 4 Pivet Drive. Librarian and mum, Courtney Bonnet is the master behind this wizard wonderland, complete with Harry Potter books, a beautiful rug and plenty of cozy pillows in the classic maroon colour. The mum says the project only took eight days and cost between $250-300. Or how about this fantastic creation, inspired by The Chronicles of Narnia. The typical wardrobe has a whole whimsical world of magic behind it. Step into a classic book series complete with a beautiful white rug and murals from the book. For the aspiring cowboys, a wild wild west themed room may be more their style with their very own log cabin, lasso and cowboy gear. 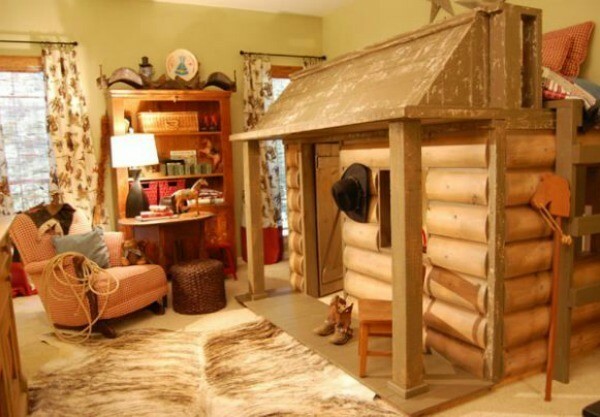 The skinned rug and critter curtains add the perfect touch to this woodsy classic. 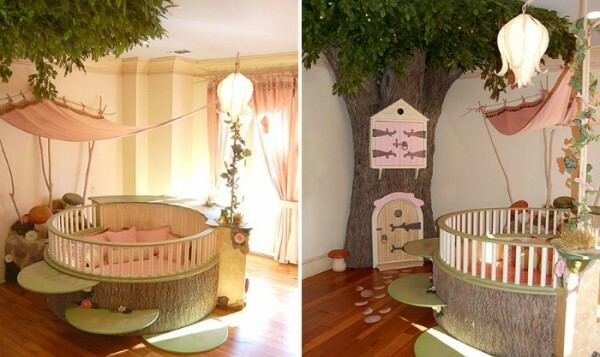 Check out this other spin on a classic fairy tale room, complete with a pink hammock, tree trunk bed and magical tree. We especially love the clever steps up to the bed. 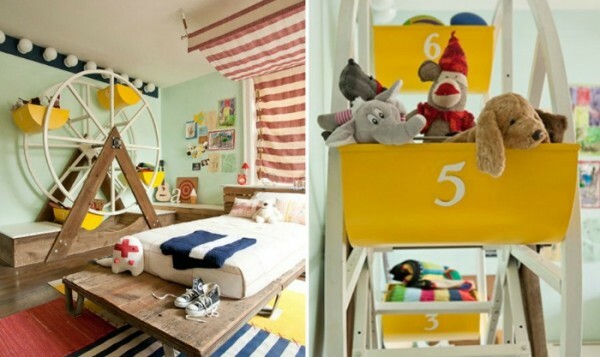 Clown around in this incredible circus-themed room, with a beautiful hand-made ferris wheel to store blankets, books and stuffed animals. The striped motif and timber furniture give the room a delightfully country fair look. 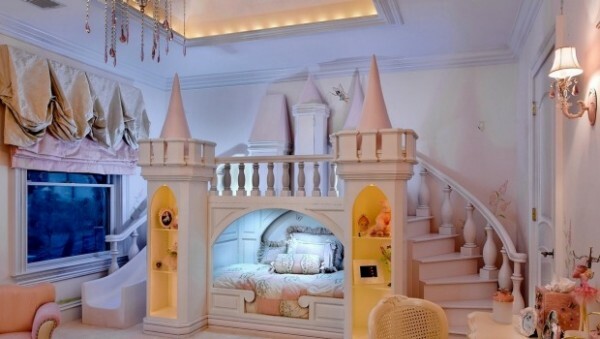 Princess-themed rooms are quite popular but this one goes above and beyond. 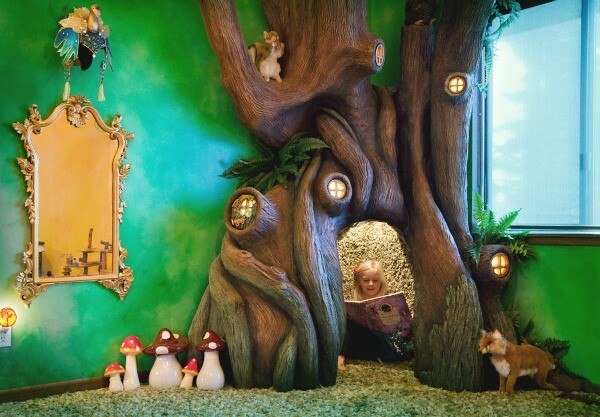 American company Dahlia Designs created this princess-fairy themed room for a two-year-old. Complete with a castle-shaped bed with turrets and Swarovksi crystals linking the bathroom walls, the family paid US$200,000 to ensure their little girl’s dreams came true. But, wait, there is hope mums and dads. 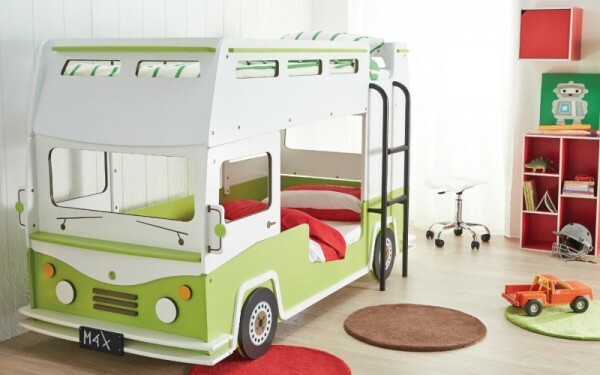 You can get affordable themed-bedroom ideas from companies like Fantastic Furniture, where we discovered this extra-awesome Bussy Bunk bed (for only $849), perfect for any future traveller.